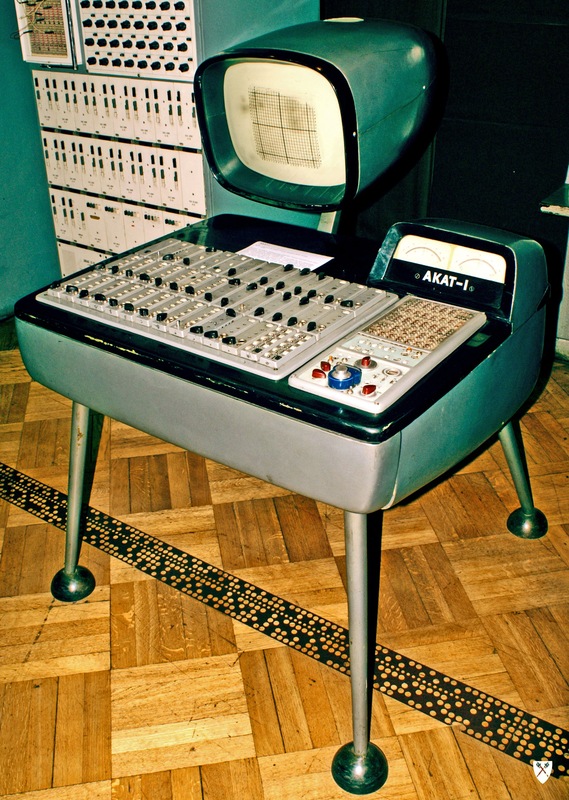 This is the AKAT-1, a Polish made analog computer from the 1960’s which apparently was rumored to have been used as a synth on Beatles recordings [source]. I happened upon it while reading an article about analog computing on Wikipedia. I’m not trading in my digital computers for the analog variety any time soon (as I did with my synthesizers), but if they would just make a MIDI / DAW controller that looked like this I would be set. "An analog computer (spelled analogue in British English) is a form of computer that uses continuous physical phenomena such as electrical, mechanical, or hydraulic quantities to model the problem being solved." Scott, do you like anything that is modern? ?